Chelsea’s new manager Maurizio Sarri gave his first press conference today and revealed big news regarding the club’s transfer aims this summer. The transfer market for English teams is already closing in three weeks’ time, and the Blues have only completed one signing; Napoli’s Jorginho. When asked about the transfer market, Sarri claimed he is ‘one of the few managers who finds the transfer market boring’. Regardless of that, he’s told the board which position needs the most strengthening. 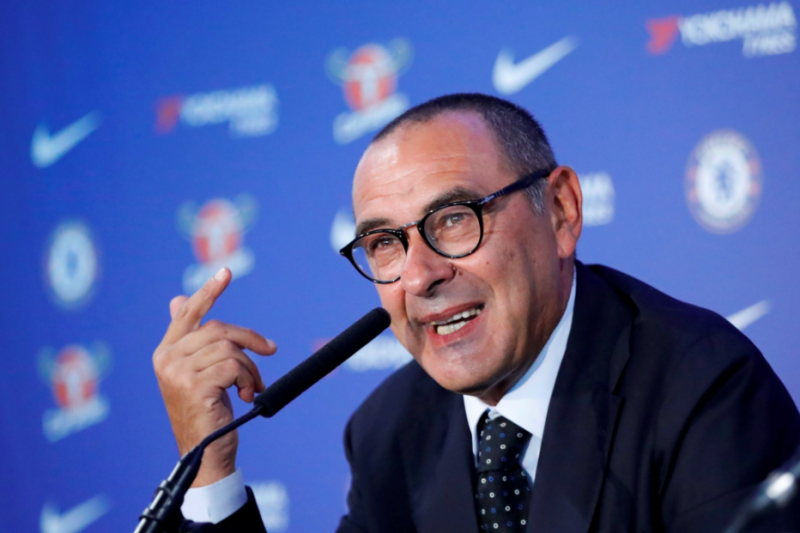 Sarri – whose tactics require the ability of playing one-touch football in narrow spaces – reportedly told the club that he needs new players in midfield. This explains Chelsea’s decision to bring Jorginho from Napoli along with Sarri. The Italian international is already very familiar with these tactics that are likely to be implemented at Chelsea as soon as possible. Chelsea have also been strongly linked with a move for Aleksandr Golovin, who had a great World Cup with Russia this summer. He’s another intelligent midfielder who could be a great fit for the Italian manager’s system.